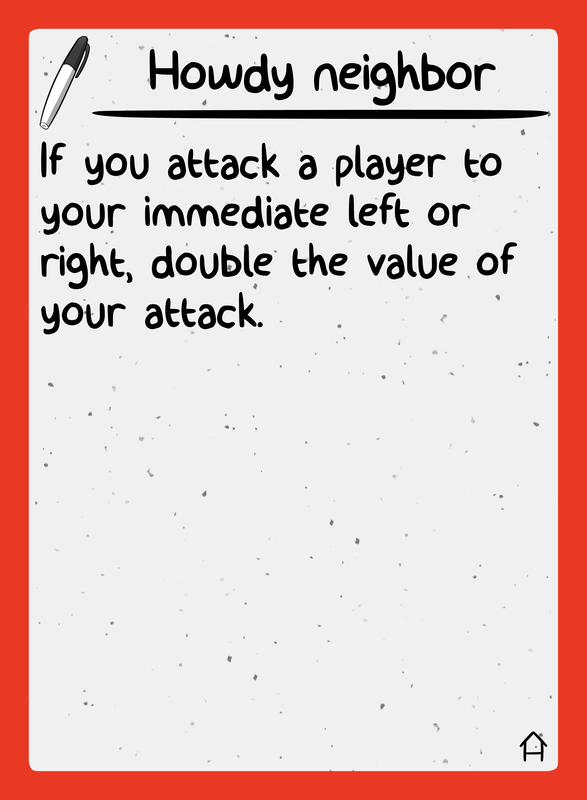 All players in House Rules are embroiled in a brawl where it is everyone for themselves! 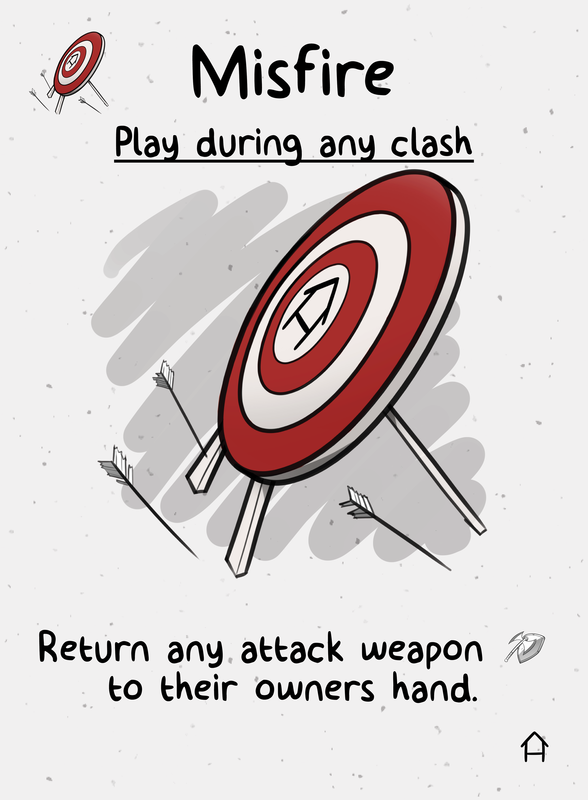 Armed with weapons of all shapes and sizes, the goal of each player is to raze the defenses of your rivals and amass the biggest stash of weapons after three rounds of combat. 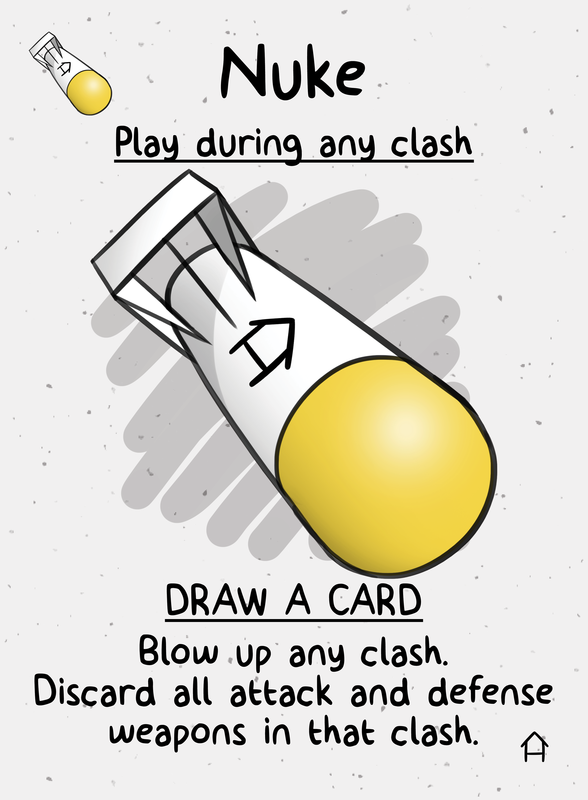 Be wary though, the rules of engagement for each combat round are never the same! 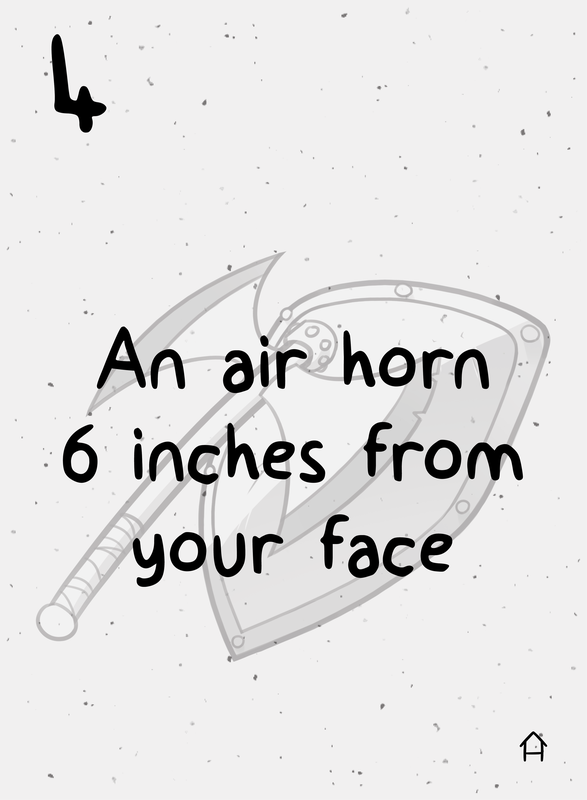 Weapons are not anything you would find your typical arsenal. 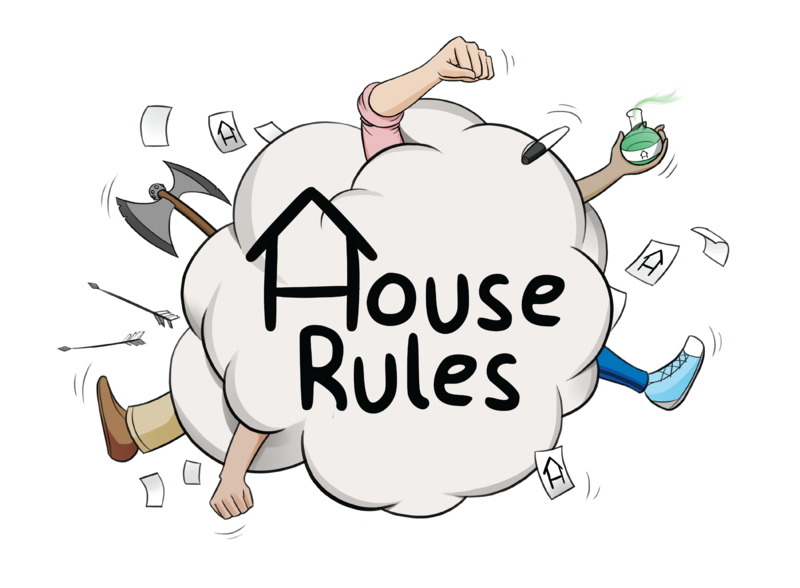 In House Rules the weapons are hilarious, absurd, and come in all shapes and sizes! 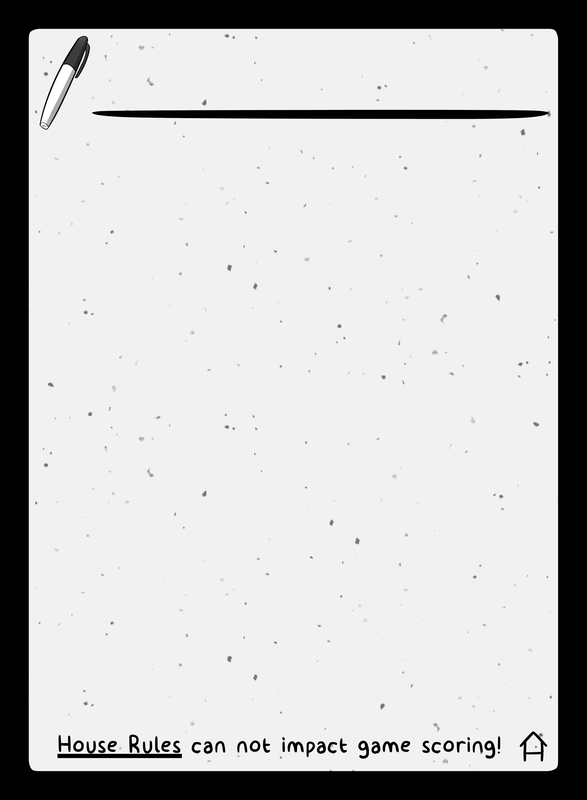 You can even add your own personal touch for maximum impact! 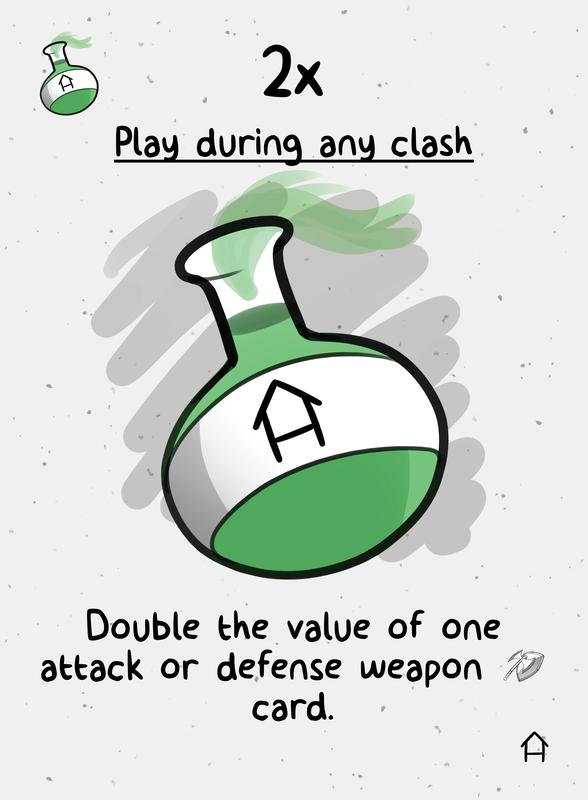 Before we let the battle royale get in full swing, players need to set the rules of engagement. 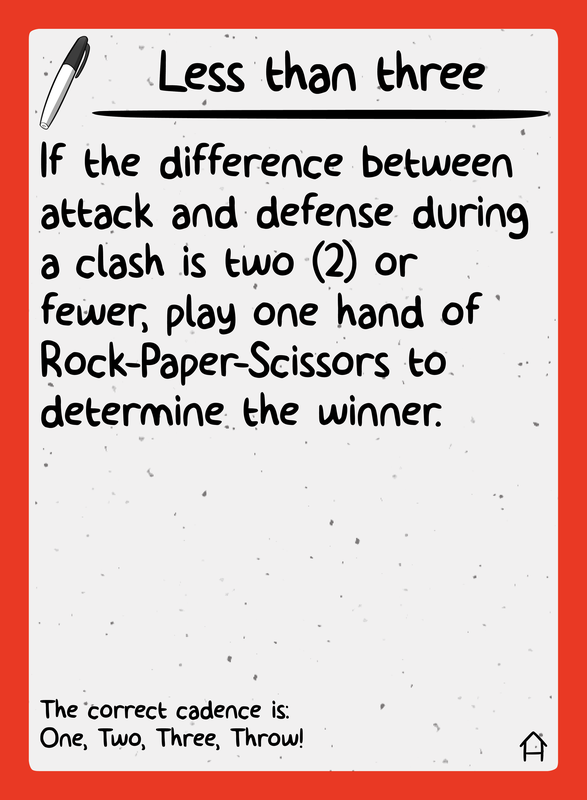 At the beginning of each round, every player chooses between two Rule cards, and secretly selects one of them. 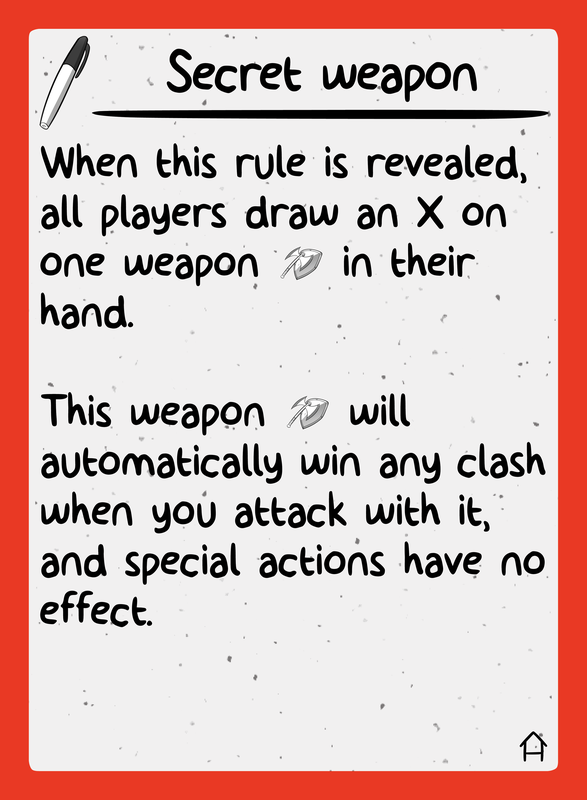 Before the combat begins, reveal all chosen rules, and combine them together for the round! 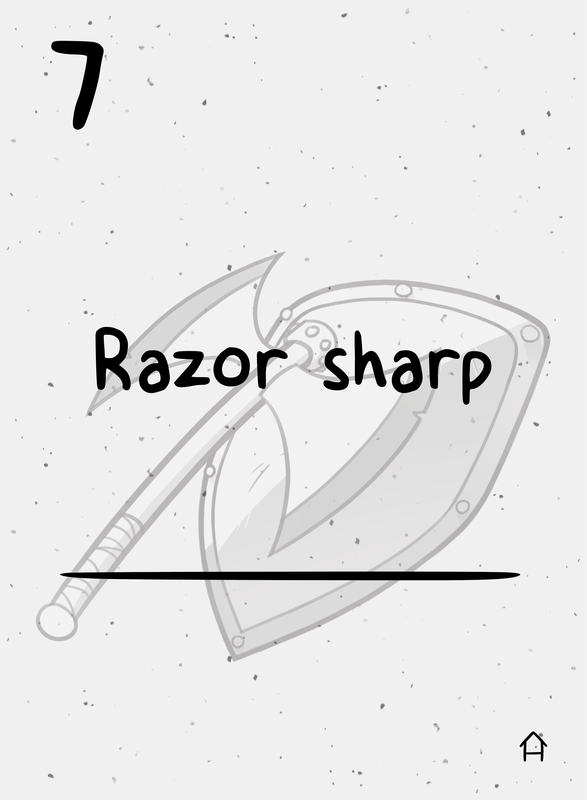 Just in case you need an extra edge, there are Special Action cards peppered throughout the weapons that will help you out if you get stuck between another player and a hard place! 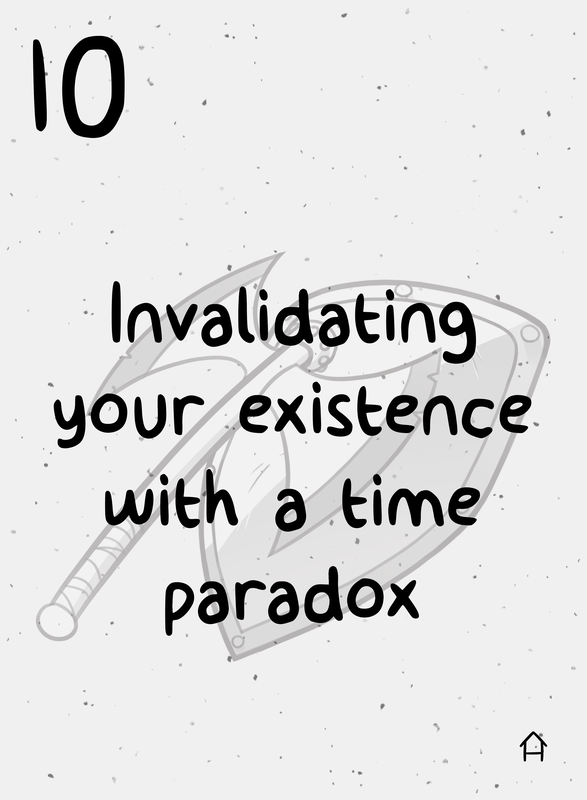 Finally, if all else fails execute your House Rule! 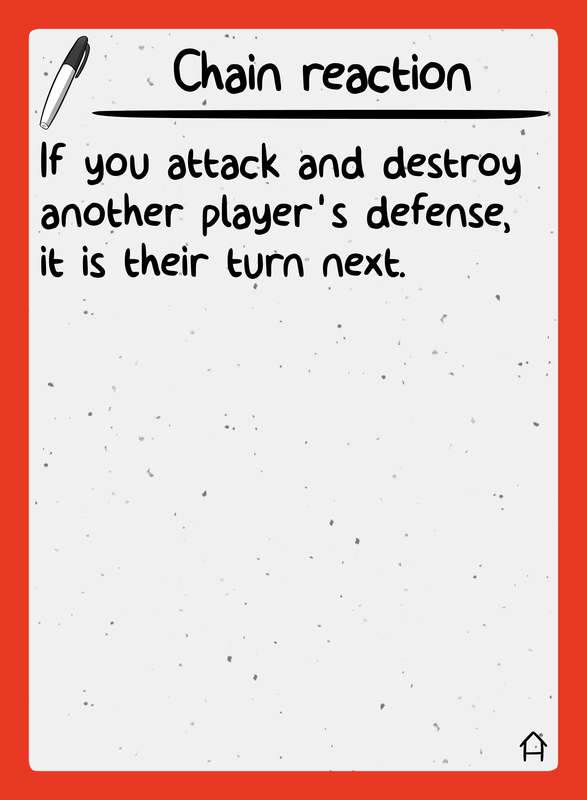 Each player starts the game with a blank rule card that can be anything you can think of! 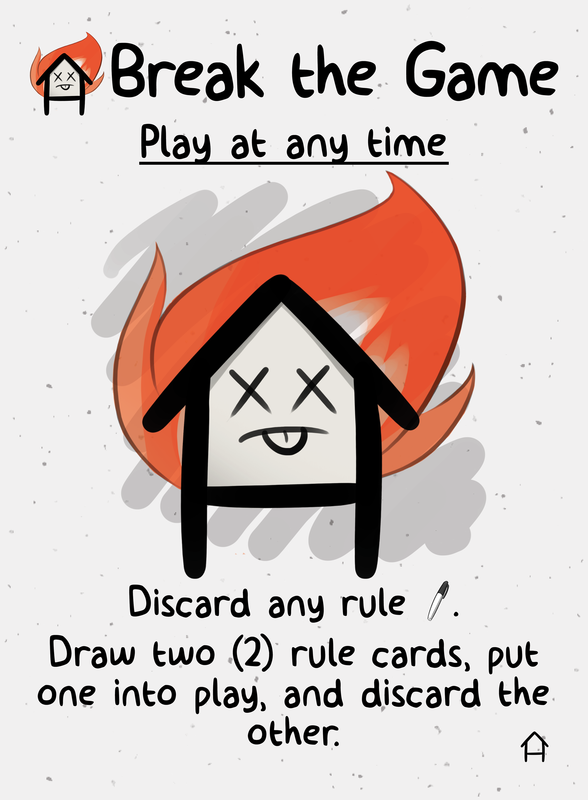 To use your House Rule, play it at the beginning of a round, and get at least one other player to agree with it!